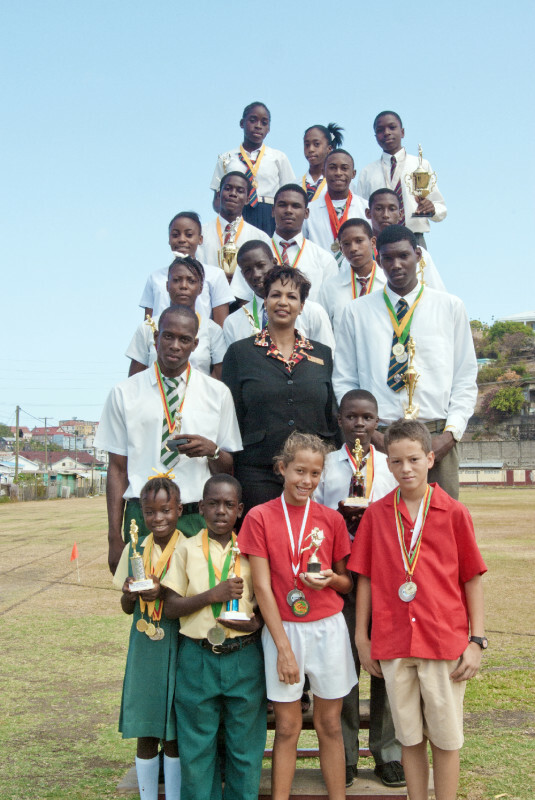 CIBC FirstCaribbean bank took time out to recognise and acknowledge the outstanding athletic achievements of Secondary and Primary School students in Grenada, in various sport meets taking place this year, including the recently held CARIFTA games that were held in The Bahamas. This is the 8th year that the Bank, as part of its community building and education initiative, has leant its support to students to encourage development in track and field, and other sporting endeavours. The list of schools supported by the bank is very impressive. It includes Anglican High School, St. Rose Modern Sec, Hillsborough Sec, Happy Hill Sec, GBSS, Westerhall Sec, Westmorland, PBC, Mt Rose SDA, St. Geo Anglican Sen Sch, Chantmelle RC, St. Geo Methodist, St. David’s RC, Dover Government, Lesterre Rosary and St. John’s RC, which all received donations of medals and trophies from CIBC FirstCaribbean. A cascade of beaming smiles from the successful athletes confirmed how proud each athlete was of their achievement and clear joy at receiving Bank-sponsored winning medals and trophies. They were unanimous in their expressions of appreciation of the Bank for its continued contribution to annual sport meets. 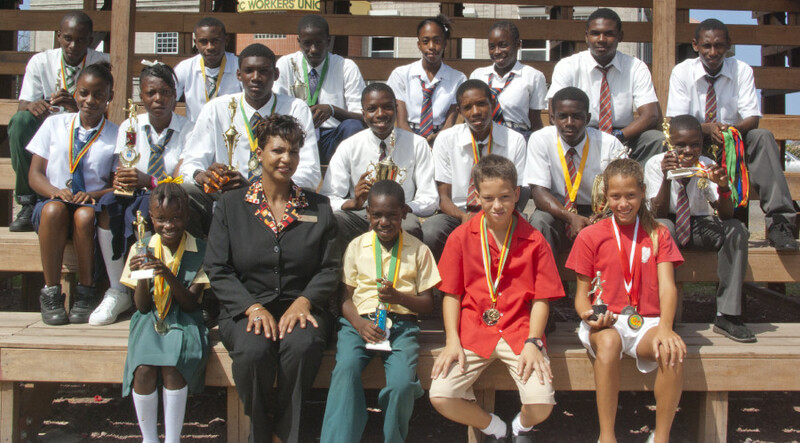 Three students from the aforementioned schools, Ronnie Ollivierre and Samuel Alexander of GBSS and David Antoine of PBC, were selected to represent Grenada at the recently held 2013 CARIFTA Games of which CIBC FirstCaribbean International Bank was a Gold Sponsor. Several of the other students performed notably well this year at their respective school meets and the Inter-Secondary School Games. CIBC FirstCaribbean International Bank’s continued sponsorship of sports in Grenada acknowledges the tremendous athletic talent in Grenada and its determination to support the next generation of potential Olympic Gold medallists in their quest for success in the future.